Manufacturing is a cornerstone of our modern economy. Accounting for approximately $174 billion of our GDP, manufacturing represents more than 10% of Canada's total GDP. What is more, manufacturers export more than $354 billion each year, representing 68% of all of Canada's merchandise exports. All of this adds up to 1.7 million quality full-time, well-paying jobs—all across the country. And as the sector has modernized, manufacturers have become innovative and high-tech, relying on a highly skilled and knowledgeable workforce that includes designers, researchers, programmers, engineers, technicians and tradespeople. 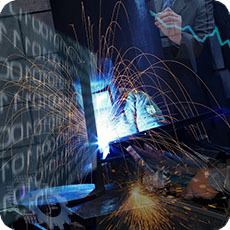 Canada's manufacturing industry has huge potential for Canada's economic future. The world is changing, and new technologies are not just opening new markets for Canadian goods, they are changing the ways these goods are produced. For manufacturing in Canada to remain a vibrant, innovative and competitive contributor to our economy, business and government will need to work together. A vibrant manufacturing community encourages industrial clusters that develop skills, knowledge and technology. Success breeds success: when Canada's manufacturers grow and compete, they act as magnets for new investment and for new young people wanting to be part of this great industry, making the products of tomorrow. Manufacturing is one of Canada's most important economic sectors, employing 1.7 million people in a wide range of industries across the country. A strong manufacturing industry needs skilled workers to grow, innovate and be globally competitive. Today, Canada's manufacturing sector faces skills shortages that are expected to grow as the population ages. Greater skills development and participation in training, including through apprenticeships, will play an important role in improving the process of matching people with jobs and jobs with people and help alleviate potential future skills shortages. Canadian companies are getting more involved in finding solutions to skills shortages as they understand that it will aid their businesses. Companies offer training to improve the skills of existing workers and to better integrate new employees. They also invest in technology-driven programs given at post-secondary institutions to ensure that graduates from these programs will have the necessary skills to immediately enter the workforce. Where such programs do not already exist, some companies are investing in the development of partnerships between the private sector and post-secondary institutions. The Government is working with its partners to increase support for and access to skills training initiatives, including those that benefit skills development for the manufacturing sector, such as the Apprenticeship Job Creation Tax Credit, Apprenticeship Incentive Grant, Apprenticeship Completion Grant and the Canada Apprentice Loan. In doing so, it is promoting a highly skilled and mobile workforce. Today's manufacturing requires constant innovation, the integration of new ideas and the adoption of up-to-date production processes. The highly competitive nature of the global economy and the growing complexity of manufacturing supply chains will further increase the importance of innovation and the development and diffusion of new technologies moving forward. Canadian manufacturers have long been leaders in pursuing investment in research, transforming new discoveries into advanced products and technologies, and bridging the gap between research and the marketplace. Manufacturing is a cutting-edge, innovative and strongly diverse sector, relying on information technologies, additive manufacturing, automation systems, nanotechnology and biotechnology. In 2016, the manufacturing sector was responsible for 32% ($6.6 billion) of all business enterprise research and development investments. Continued investment by manufacturers in innovation and other key productivity drivers, such as advanced machinery and equipment is crucial to their long-term success. It is also necessary to improve Canada's overall business productivity performance, a key element of the nation's long-term prosperity. Innovation, Science and Economic Development Canada has put together a searchable inventory/compendium of federal and provincial programs which could assist Canadian manufacturers. The programs in this website address financial gaps, the elaboration of research programs, commercialization assistance, and human resources development. Find out more about government programs for Canadian manufacturers. Rapid globalization of markets, lowering of trade barriers and increasing global demand has led to both growing competition and new opportunities for Canadian manufacturers. With Canada's highly educated population, strong science base and strong existing clusters, knowledge- and technology- intensive manufacturing industries, including niche manufacturers, represent the most strategic opportunity for the future of the domestic manufacturing sector. Today, Canadian manufacturers are increasingly linked into growing emerging markets through participation in global value chains, providing the products world markets need at the right price and produced with the latest technologies. In 2016, close to half of what manufacturers sold was exported ($354 billion), and over three-quarters of exports were destined for the U.S. Customized export and import statistics on international trade can be found on Innovation, Science and Economic Development Canada's Trade Data Online. In a highly competitive global environment, the Government plays a role to promote fair competition for Canadian firms seeking to grow abroad and ensures that the Canadian market remains open and competitive. Trade negotiations to open markets and reduce duties can create new opportunities in manufacturing and other industries. Progress in trade helps promote competition in Canadian markets, making our firms more productive and innovative. Information on how to find new markets, grow your business and learn about doing business with other countries can be found on Innovation, Science and Economic Development Canada's Import, export and investment. Manufacturers and processors are major contributors to the Canadian economy, as they account for over 1.7 million jobs and more than 10 percent of total Gross Domestic Product (GDP). The Canadian manufacturing sector covers 21 industry groups that produce goods for both industrial and consumer use. This table provides a snapshot of key Canadian manufacturing statistics and trends. Additional resources on the manufacturing sector's activity can be found in the Statistics Canada's Manufacturing. Links to external sources of detailed and up-to-date manufacturing-related statistics. Get data on employment, salaries and wages, manufacturing costs, performance, capital investment, and other information on the Canadian manufacturing sector, from Innovation, Science and Economic Development Canada's Canadian Industry Statistics website. Get latest news release, detailed tables, and publications for the manufacturing sector from Statistics Canada. Will the Next Revolution be 3D Printed? This video, originally produced by Emily Carr University of Art + Design, showcases how 3D modelling and design is changing the production and development process for new and existing products in Canada. It also looks at how additive manufacturing (AM) is transforming innovation in Canada, making the country a major centre for research, design and product innovation.